Interactive content is on the rise. 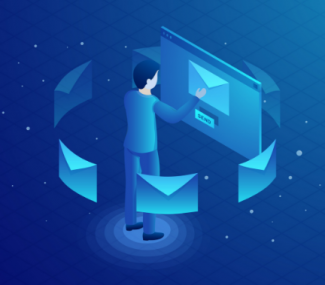 The numbers support this: there is a 73% click-to-open-rate increase in interactive email content versus static email content. Every email marketer needs to consider incorporating interactive content into their campaigns. Consumers want to have fun online. Being entertained online keeps users’ attention. Many consumers feel that this is possible using cutting-edge marketing methods, like interactivity. 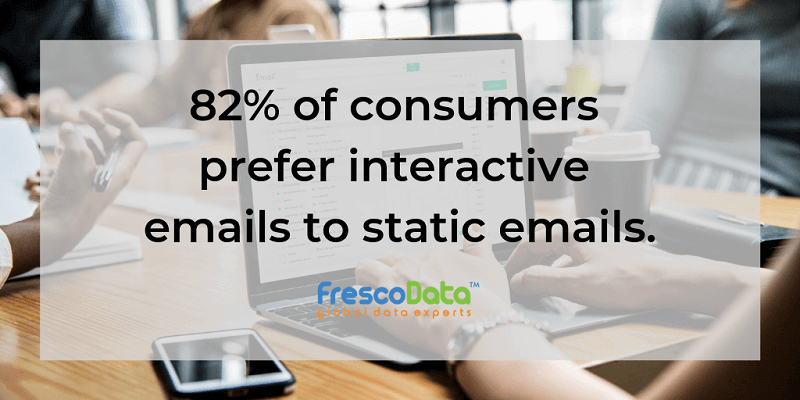 In fact, 82% of consumers state they prefer interactive emails over static emails. One survey reported that this is even the case in B2B marketing. In one study 91% of B2B buyers report wanting to consume interactive and visual content online over static content. Interactive emails force recipients to become a part of your marketing strategy. These interactions boost engagement and brand loyalty. Plus, they lead to 2x more conversions than passive content. This means all email marketers must really start considering this strategy. 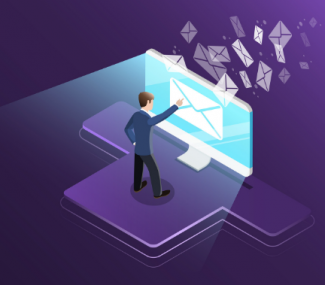 What is interactive email content? Content with interactivity is anything that a consumer actively engages with to create a robust experience. Consumers tend to tap, swipe or interact with this type of content. Interactive emails simply incorporate this content into their campaigns. Email has some technical challenges that prevent it from being fully interactive. Some email platforms, like Google, are paving the way to change this. 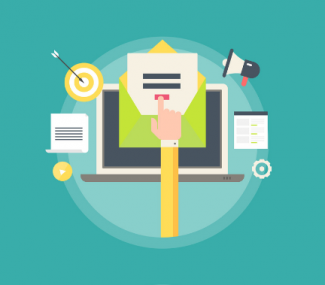 Right now, there are a few ways to make email content with interactivity. Using these techniques will increase the effectiveness of your email campaigns. By incorporating this type of content into your emails, you will see higher click-through-rates, engagement and ultimately ROI. Email personalization is so much more than adding the recipient’s first name in the subject line and salutation. Even though this tactic can seem unnatural and even forced, this is not the goal of personalization at all. Personalization aims to make a recipient comfortable and engaged with your email because it is sent to them personally with their name in the content. It should entice them to keep reading. Personalization is about tailoring your email to your recipient and making it as meaningful to them as possible. Your personalized campaigns should create a one-on-one feel for a recipient. To personalize your emails, start with your list segments. You can create a different interactive experience for each type of segment. When creating an email campaign, use snippets and custom fields like their name, within the body of your email. These types of fields will help you make the interactive campaign more relevant to your segment. Making sure you do this along with other, specific interactive techniques can increase your response rate by 50%. Nearly one-third of all time online is spent watching videos. Plus, 65% percent of consumers prefer video content over text. Clearly, people love consuming videos. This means they should be added into an effective email marketing strategy. 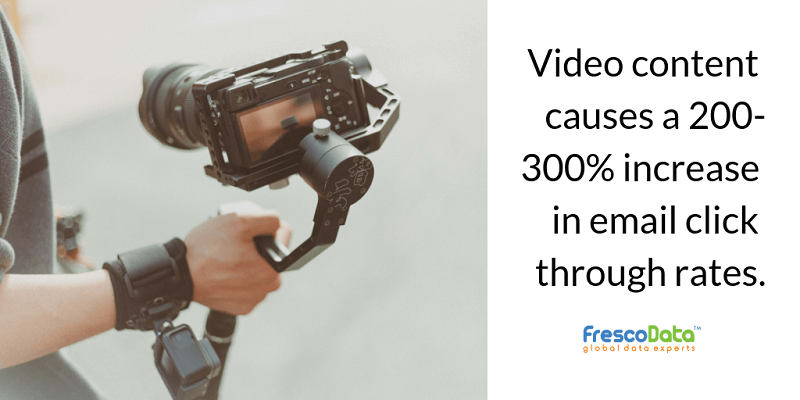 Videos within emails cause a 200-300% increase in click-through rate. 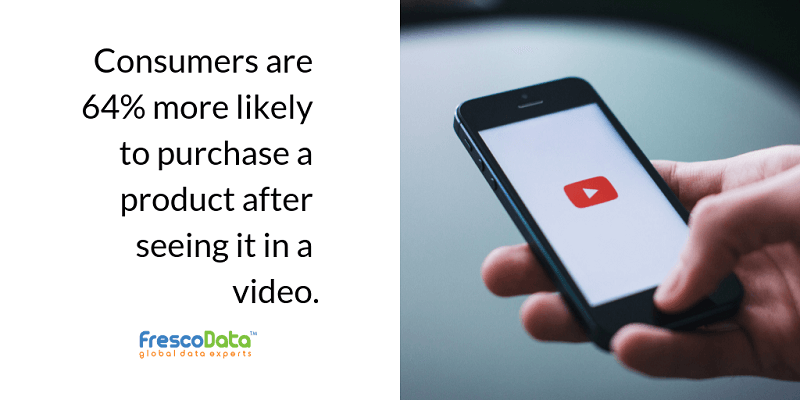 Users are also 64% more likely to buy a product after seeing it in a video. This suggests that video is an extremely powerful tool to promote and grow your business. Introduction videos: 30 to 45 seconds videos that show customers who created the email they received. Support videos: 60 seconds step-by-step videos for customers to learn about the products or services offered by the sender. Explainer videos: 1 to 3-minutes animated videos that show customers how a product or service works. Testimonial videos: 30 to 45 seconds videos that record customer satisfaction. Graphics Interface Format Images, or GIFs for short, are animations made from either video clips or still images. They are usually only a few seconds long. GIFs have steadily gained popularity among consumers over time. Google states that searches for GIFs have steadily increased from 35% in 2013 to 72% in 2018. GIFs are great for email because are universally understandable for all audiences. This is especially important when dealing with a multicultural subscriber list. Sometimes humor or seriousness in copy can be lost to some users. A GIF helps visually display the tone of your email content. GIFs are easy to understand, fun to watch, relatable and short. This makes them ideal for sharing across various platforms. Adding GIFs to email campaigns can increase brand loyalty and keep your audience interested in your message. Ultimately, this can help increase the success of your email campaigns. Another key element is combining email marketing and social media. Social media offers yet another way for customers to interact with an email. By adding social sharing buttons to emails, your click-through-rates can increase by 150%. You can also incorporate live social media feeds into your emails. This will help merge the two platforms. You can add Facebook, Instagram and Twitter feeds to your emails to successfully reach a broader audience. Marketers need to understand the importance of interactive email content to create more engaging email campaigns. These tactics are valuable if used correctly and with a purpose in mind. Entertain your audience with interactive email elements, like the ones suggested above. Incorporating these techniques will boost the success of your campaigns and lead to more brand loyalty. These trends are going to continue to grow as marketers shift away from mass marketing.